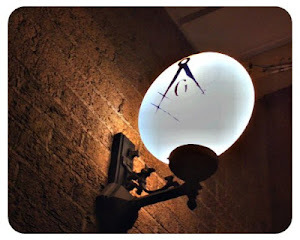 The Midnight Freemasons: How Many Freemasons Does It Take To Change A Light Bulb? How Many Freemasons Does It Take To Change A Light Bulb? Q: How many Freemasons does it take to change a light bulb? A: None. Freemasons never change anything. Brother Tom ended his tenure as a Grand Lodge official. Instead of sitting back and taking it easy, he became passionate about a longstanding project. He wasn't "put in charge;" he took charge. He spearheaded an effort to produce something that has become an important part of the Grand Lodge of Missouri. He would be the first to tell you he didn't do it alone. I'm not talking about that... I'm talking about leadership. Brother Bill was a Past Master of a failing... well, faltering... Lodge. During his year as Master he managed a complete turnaround. At one point during his term I attended an event there with hundreds — hundreds — of Brothers in attendance. I watched as he turned that Lodge into what another Brother called, "a shining star of Missouri Freemasonry." Given his demonstrated leadership ability, the Lodge of Research called on Bill to coordinate a project. That project succeeded beyond my expectations; and like Tom, Bill will insist he did none of it alone. He's just a guy who knows how to get things done. Kudos to Tom and Bill, right? Wrong! Both were criticized relentlessly. Tom "overstepped his bounds." He "moved too fast." He didn't "do things the right way." Bill "bullied his way in" and "attempted to take over the Lodge of Research." (Not on my watch, Brothers. You can take that to the bank). We can't have it both ways, guys. We can't change, we can't get things done, we can't increase our visibility and attract members by turning key players into pariahs; but in a lot of instances, we do. It makes it difficult to work within the system. I'm not advocating us all becoming loose cannons. Rather, I'm suggesting we recognize we have a lot of work to do to realize some of the goals we have all set for the fraternity; not the least of which is to mold the organization into something that will attract young men. We don't have to give up our core values to do that. We do, however, have to take action and honor, not vilify, the Brothers who step up as leaders. Bro. Steve Harrison, 33°, is Past Master of Liberty Lodge #31, Liberty, Missouri. He is the editor of the Missouri Freemason magazine, author of the book Freemasonry Crosses the Mississippi, a Fellow of the Missouri Lodge of Research and also its Worshipful Master. He is a dual member of Kearney Lodge #311, St. Joseph Missouri Valley of the Scottish Rite, Liberty York Rite, Moila Shrine and a member and Past Dean of the DeMolay Legion of Honor. Brother Harrison is a regular contributor to the Midnight Freemasons blog as well as several other Masonic publications. His latest book, Freemasons: Tales From the Craft, will be released later this year. Is A Master Mason’s Labor Ever Finished?